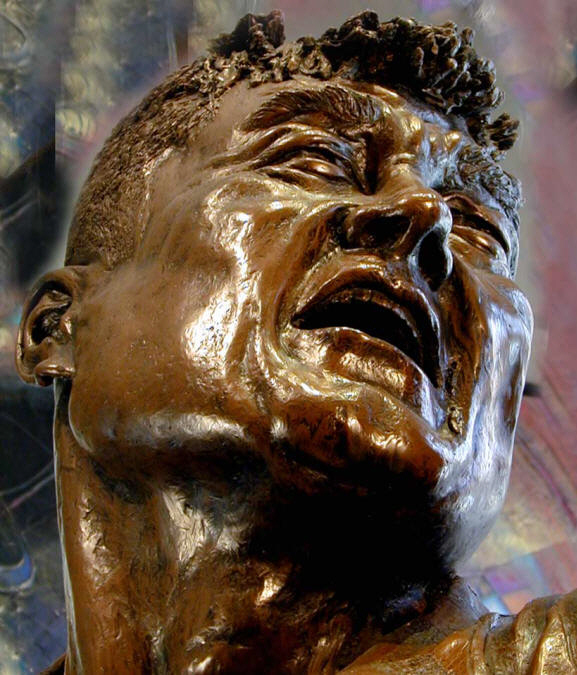 Title: "Six Hours In Hell"
Roy Benavidez was severely wounded during his battle in which he earned the Medal of Honor. He often referred to it as his "Six Hours In Hell". During that time he was repeatedly wounded - Army medical records indicate about 37 wounds by rifle fire, machine gun fire, grenade and mortar shrapnel, and by bayonet attack. After receiving all these wounds, he carried several men to the rescue helicopter and finally collapsed on the floor as the craft lifted off. This sculpture captures the essence of those final moments on the battlefield. Read the story at http://www.valorremembered , Benavidez Memorial Pages.